Erythrocyte and white blood cell suspensions were prepared from 22 Type 1 (insulin-dependent) and 37 Type 2 (non-insulin-dependent) diabetic patients and from 57 control subjects. Cell filterability was studied with the new “St. George's Filtrometer”, which can discriminate between cell deformability and filter occlusion. A pronounced increase of filter clogging was found in diabetic patients compared with control subjects. There was no significant difference between Type 1 and Type 2 diabetic patients, but a significantly increased clogging was found in patients with retinopathy compared with retinopathy-free patients. Considering that filter occlusion is mainly due to leucocytes, our results show a reduced filterability of white blood cells in diabetic patients. 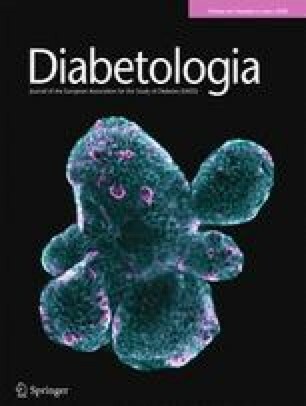 Altered white blood cell function may act as an additional factor in the impairment of microvascular circulation in diabetic patients.